So, I'm super stoked about this new wedding set because it's something a little different than my go-to style (aka: no flowers). The clean black & white look is perfect for the couple's upcoming brunch ceremony at a casual, industrial-looking (BEAUTIFUL) venue with lots of brick. 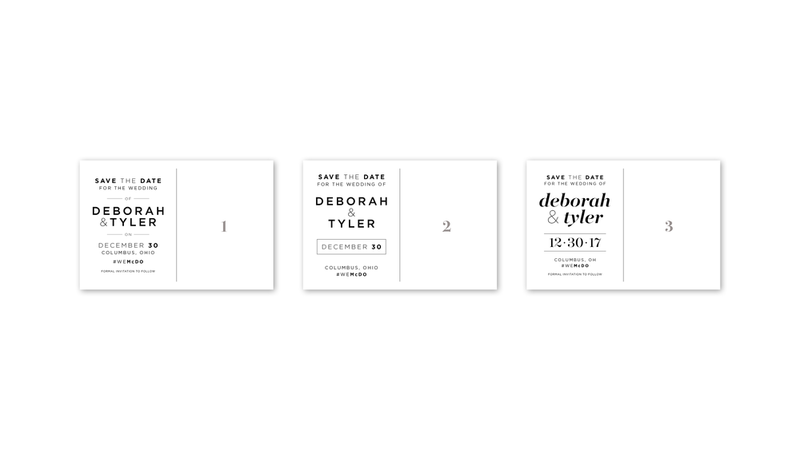 Here's the final design they decided on for their Save the Date postcards -- more coming soon with the rest of their wedding design package!